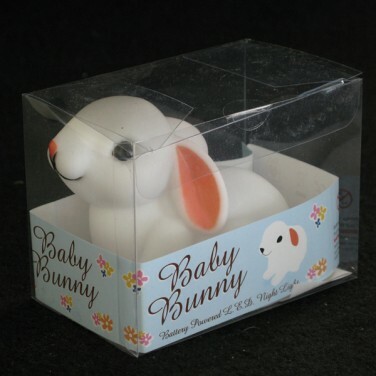 An adorable children's LED night light, the Little Baby Bunny Night Light casts a warm white glow into your child's room. 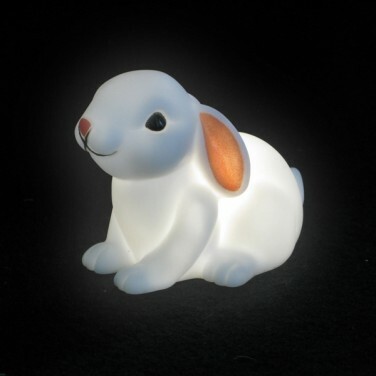 A cute baby bunny rabbit design, this charming little character is lit by white LED's and so remains cool to the touch and is just the right size for little hands. 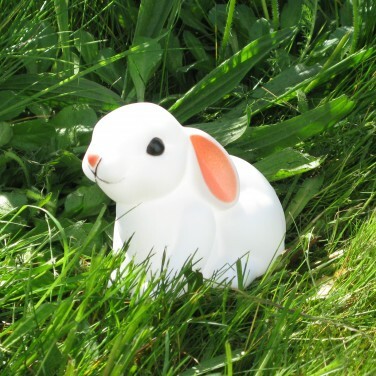 Battery operated, your little one can place their glowing bunny companion anywhere in their room and can even take it with them on sleepovers and family trips. A colourful, magical mushroom night light that glows gently in the dark to provide your child with comfort and reassurance as they sleep at night.